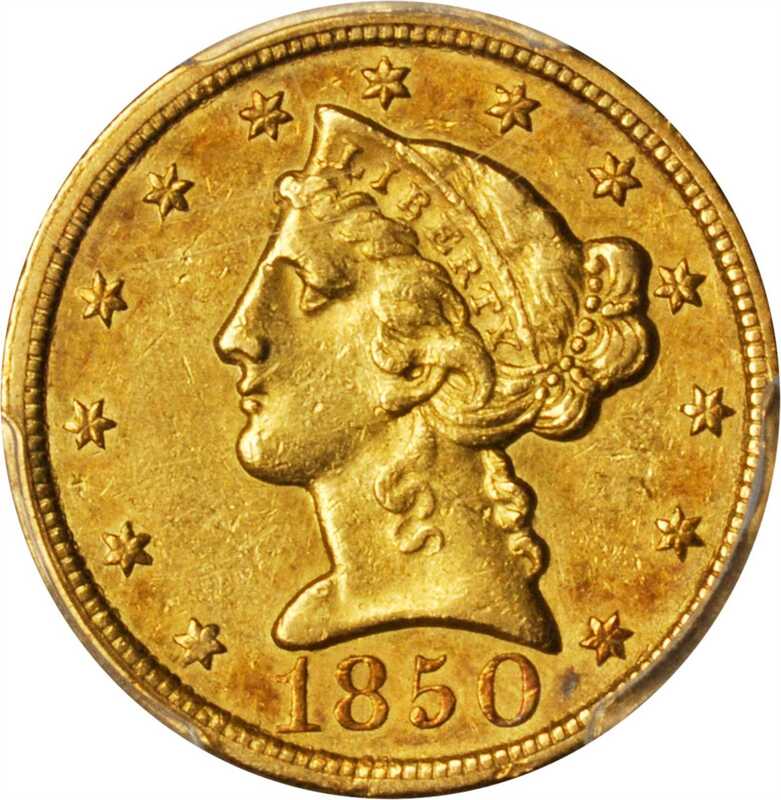 Lot:3049 1850-C Liberty Head Half Eagle. Weak C. AU-53 (PCGS). 1850-C Liberty Head Half Eagle. Weak C. AU-53 (PCGS).An endearing piece, both sides exhibits splashes of faint rose highlights over dominant medium gold patina. Overall detail is bold to sharp, but as designated by PCGS this is a Weak C example (Winter-4) with the mintmark faint, although still discernible at most viewing angles. Thanks in no small part to a relatively generous mintage of 63,591 pieces, the 1850-C is one of the more readily obtainable Charlotte Mint half eagles. Even so, problem free AU examples such as this are scarce in todays market.